A common problem business often encounters in insurance is determining if the brokers and clients you are doing business with are profitable to your business. Although this may seem like a complicated task for many, it shouldn’t be. With the Aladdin database structure and integration with SQL Server reporting services, we were quickly able to develop dashboard reports to give a quick and easy overview of the general performance and status of a business partner. 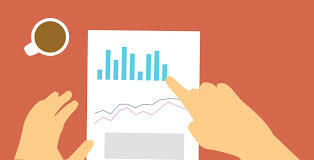 Easy to read graphs with performance over time, such as premium and loss ratio statistics and upcoming renewals allow a user to immediately pick up on issues and determine if the business partner is bringing in good or bad business both in the short term and the long term. Aladdin makes this possible because of its database structure that links the financial, workflow and technical dimensions of the business at the lowest level, which in turn makes it seemingly effortless to combine the data in a multitude of ways and cross section the data as needed to serve it up to the user at the click of a button via reporting services. If your business could use better analysis contact us.